If you've been reading my blog from the beginning (way back in 2012 - crazy!) then you know I love supporting local businesses. 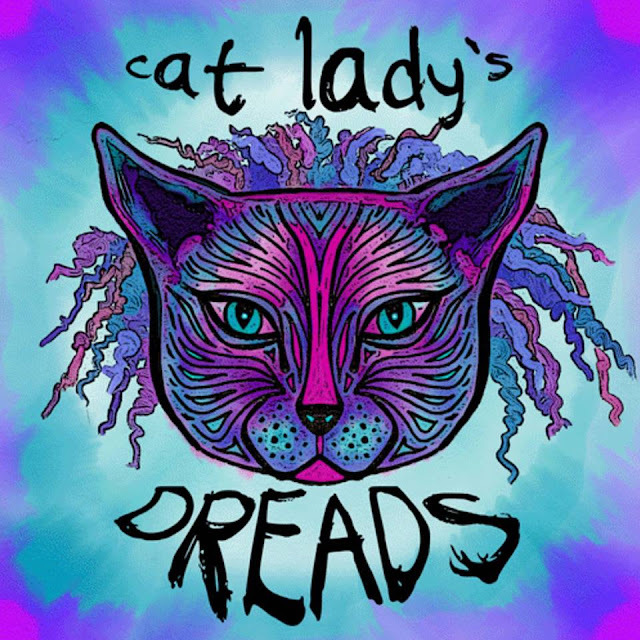 I have some really fun ones coming up for Christmas, but today I'm focusing on the talented lady Lucy who is behind Cat Lady's Dreads. Some of you know that I now have sassy extensions which this lady sorted out for me and I'm so in love. I'll be popping up a blog post shortly about my extensions now I've had them for three weeks! I'll be posting about the process and the maintenance. 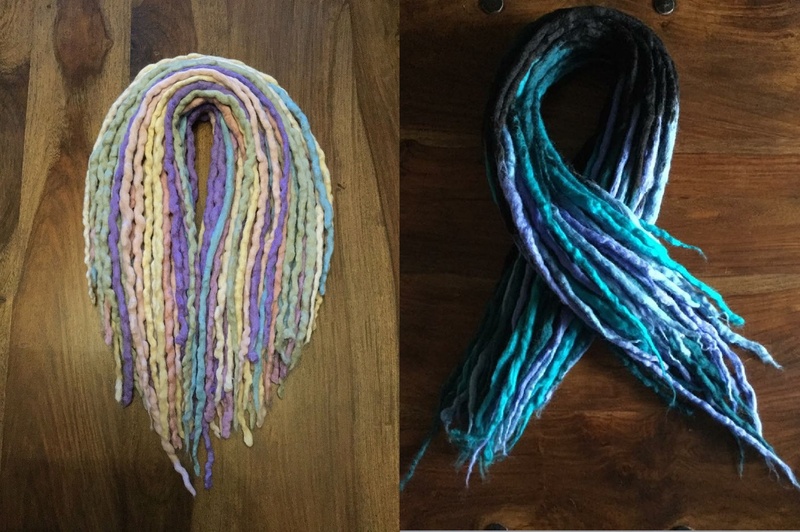 As she did such a beautiful job with my hair (I'd never had extensions before and she made it the easiest and relaxing experience ever) I want to talk about her lovely handmade dreads, as I know no one else in the East Anglia area that makes there own. Dreads are becoming increasingly popular and I can see why. The beautiful colours you can have are gorgeous, and it's for sure going to turn heads. Lucy does an incredible job of colour themes and coordinated charms. All her dreads are completely handmade by her lovely self, but not only does she make them, she also dyes the wool too so all these lovely colour combos you see have been created by herself. To make her dreads she uses the finest cruelty free merino wool from South America, so you know you're getting the best. 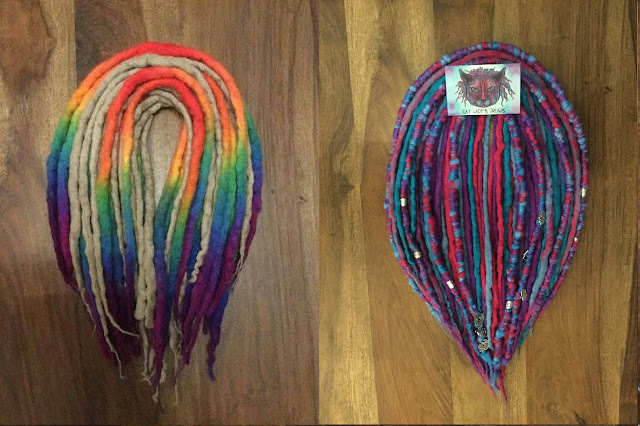 You can find all her creations on Ebay to buy and fit yourself here, but you can also buy custom packages so you can get the dreads of dreams. From colours, beads, charms and wraps she can conjure up exactly what you want. When it came to my hair and my extensions she was approachable and answered any questions I had (No matter how silly) and made sure that what she was doing to my hair was as healthy as it could be. I gave her my hair type, history of dyes, what colours I wanted and what I was thinking and she went above and beyond to create the best hair I can say I've ever had. I don't want my extensions to ever leave me! Lucy is based in East Anglia and if you find yourself in that area she provides a fitting service, so contact her for details on that. You can keep updated on her Facebook page here which you can give a like, or on her Instagram @catladysdreads. 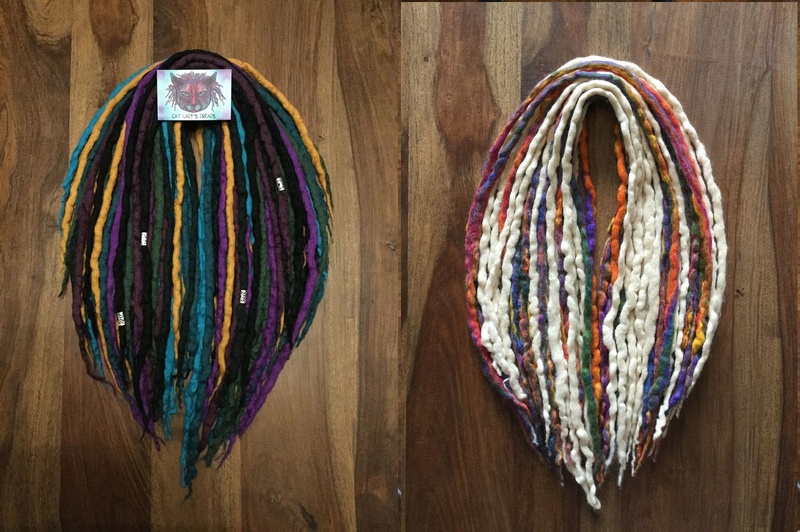 You can visit her website and read all about her dreads here and while you're there you can see her gallery. Feel free to contact her on any of her social media - she's always happy to help!